WASHINGTON (KTRK) -- Beech-Nut Nutrition is recalling approximately 1,920 pounds of baby food products that may be contaminated with small pieces of glass, according to the U.S. Department of Agriculture's Food Safety and Inspection Service. Beech-Nut has recalled 4-oz. 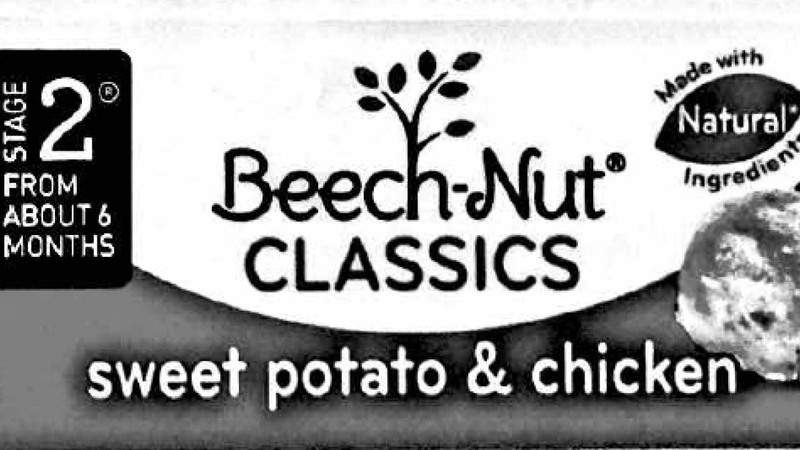 glass jars containing "Stage 2 Beech-Nut CLASSICS sweet potato and chicken." Beech-Nut produced the food on December 12, 2014 and shipped to retail locations nationwide. The affected jars will have the establishment number "P-68A" inside the USDA mark of inspection and an expiration date of DEC 2016. They will also have the product numbers "12395750815" through "12395750821". The problem was discovered after the firm received a complaint from a consumer who found a small piece of glass in the product. There has been one injury reported after consuming the affected product. Anyone concerned about an injury or illness should contact a healthcare provider. Consumers with questions about the recall can contact the Beech-Nut Consumer Hotline at (866) 674-4446. Click here for more from the USDA FSIS.